Investigators were looking into what led Tashfeen Malik and Syed Farook to attack a San Bernardino office building, with one official telling The Associated Press on Sunday there appeared to be nothing in Farook's history that would implicate him as the driver of the attack. At a church, a mosque, a makeshift street-corner memorial and other sites, they gathered Sunday to mourn the 14 victims of the San Bernardino massacre and lament that the community has now been added to the tragic list of U.S. cities scarred by terrible violence. Residents struggled to come to terms with the violence and hoped the community would unite in mourning and not be divided by the disclosure that the killers were a religious Muslim couple. In the wake of the attack, President Barack Obama delivered a prime-time address, telling the nation the attack was an "act of terrorism designed to kill innocent people." While there was no evidence the shooters were directed by a terror network overseas or were part of a broader plot, "the two of them had gone down the dark path of radicalization," he said. Investigators were looking into what led Tashfeen Malik and Syed Farook to attack the gathering of Farook's co-workers on Wednesday. 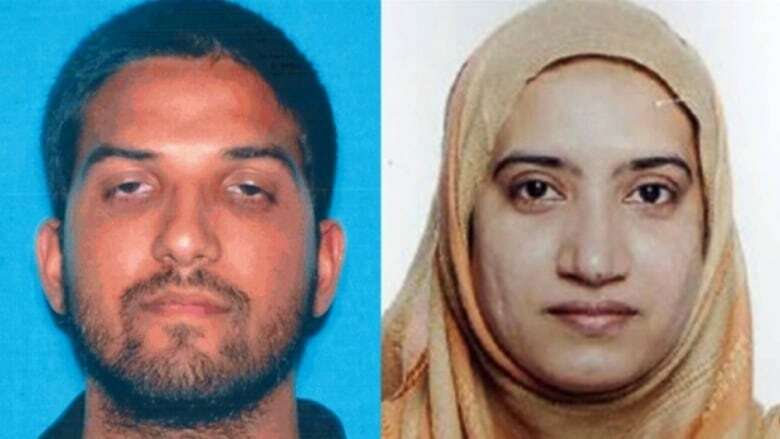 Authorities were trying to determine if Malik, who was born in Pakistan and spent considerable time in Saudi Arabia, radicalized her American-born husband, Farook, and was the driving force behind the rampage, two officials said Sunday. That possibility emerged late last week when it was disclosed that Malik had pledged allegiance to the Islamic State of Iraq and Syria (ISIS) group in a Facebook post about the time of the bloodbath at a holiday luncheon. Malik, 29, and Farook, 28, were killed in a furious shootout with police hours after the attack. "I think I can't say definitively right now what led either of these two to pick up guns and become murderers. 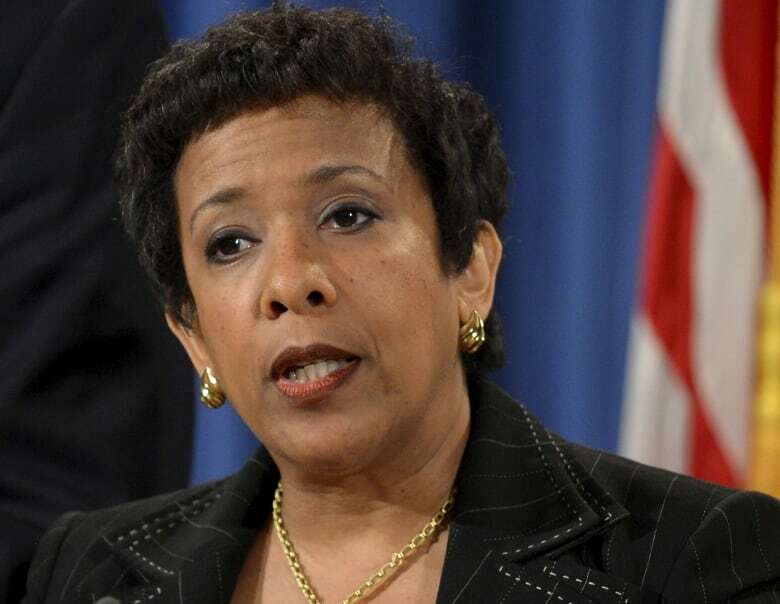 I consider that is the focus of our investigation," Attorney General Loretta Lynch said on NBC's Meet the Press. "We're looking at everything we can find out about these two killers' lives — how they grew up, where they grew up, how they met. All of those things will provide us guidance." She said the FBI terrorism investigation so far has involved "over 300 interviews, several locations searched, a lot of information being processed, being analyzed and being gathered, and more to come." Separately, a law enforcement official said investigators are looking into whether Malik was radicalized in the Middle East and used her 2014 marriage to Farook to penetrate the U.S. and commit jihad. But the official said it is only one among a number of theories that are being pursued. Former college classmates of Malik's and others who knew her in Pakistan said that in recent years, she began dressing more conservatively — including wearing a black head-to-toe garment or a scarf that covered nearly her entire face — and became more fervent in her faith. Al-Turki says Saudi records show she was not a resident of Saudi Arabia and had been to the kingdom only twice. On both trips, she came to visit her family, once in 2008 for several weeks and the second time in 2013 for four months. The Saudi Interior Ministry confirmed Sunday to the Associated Press that Malik's father, Gulzar Ahmed Malik, has been a resident in the kingdom since the early 1980s. However, Saudi laws do not permit authorities to release further details about him since he is not a suspect. Malik was born in Pakistan and held a passport from that country. Pakistani intelligence officials said she moved as a child with her family to Saudi Arabia 25 years ago. They said she moved back to Pakistan five or six years ago to study pharmacy. She arrived in the U.S. with Farook in July 2014 on a K-1 fiancée visa. 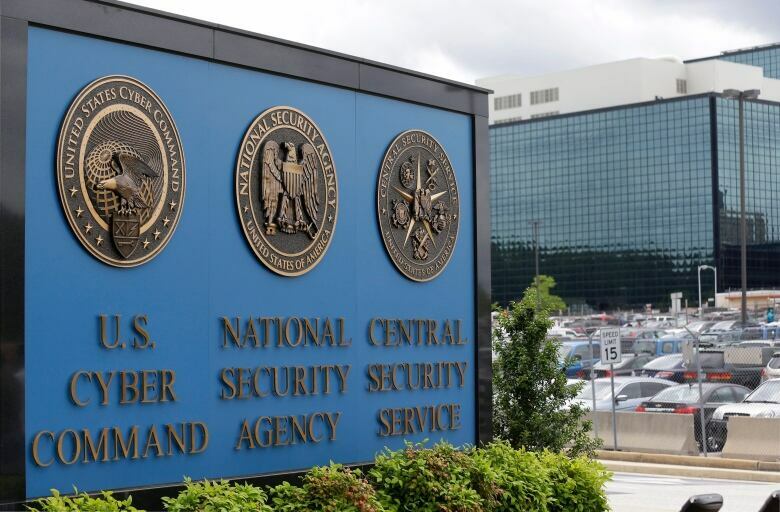 The U.S. government's ability to review and analyze five years' worth of telephone records for the married couple blamed lapsed just four days earlier when the National Security Agency's controversial mass surveillance program was formally shut down. Instead, under the new USA Freedom Act, authorities were able to obtain roughly two years' worth of calling records. That period covered the entire time that Malik lived in the country, but Farook was born and raised in the U.S.
FBI Director James Comey declined to say Friday whether the NSA program's shutdown affected the government's terrorism investigation in California. "I won't answer, because we don't talk about the investigative techniques we use," Comey said. "I'm not going to characterize it." Early Saturday, authorities with guns drawn raided a home next door to the house where Farook's family used to live in Riverside, Calif., breaking windows and using a cutting torch to get into the garage, neighbours said. The FBI would not say what it was looking for, but a neighbour said an old friend of Farook's lives there. More than three years ago, that person bought the two assault rifles later used in the shooting, but authorities haven't been able to talk to him because he checked himself into a mental hospital after the attack, said a law enforcement official who was not allowed to discuss the investigation and spoke on condition of anonymity. Media reports say Enrique Marquez has lived in the house for the last 10 years and he and Farook used to fix cars together.